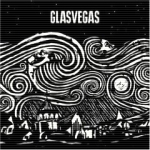 After hearing about them for a while, I finally started listening to Glasvegas this week. One part melodrama, one part grit, I love their music entirely. I’m playtesting my iPhone game a lot right now, near the end of the project. (This is, more or less, a regenerative side project I’m doing with a handful of other people, while working on longer-term first-person RPG-style stuff with Arkane Studios.) Out of many, many great qualities, one of the best things about the iPhone/iPod is that you can general pop on headphones, turn off the game’s music, and play to your own soundtrack. Not completely novel, but better supported than on any prior platform. My favorite music while playing my iPhone game: Dan Deacon, Cut Copy and–more specifically–the Teenagers’ remake of a song by Vampire Weekend. Glasvegas works well too, it turns out. This entry was posted in Games, ipod, Music and tagged Games, glasvegas, iphone, ipod by Harvey. Bookmark the permalink.